Want Ken Conklin to Speak At Your Event? Not afraid to hold anything back, Ken Conklin is an engaging, thought-provoking business practitioner rooted in the notion of positioning your business to be known as the go-to for a particular problem to be solved, and creating a predictable client acquisition process from leveraging specific online tools. 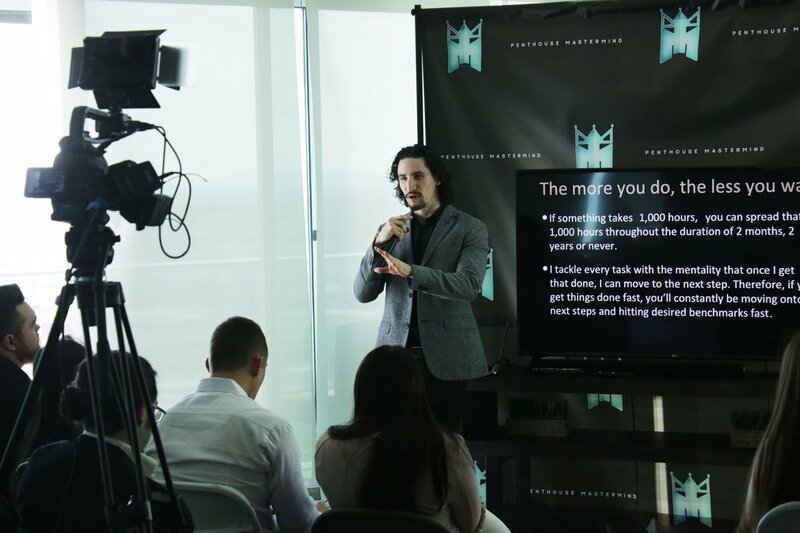 Ken makes sure to not only entertain and engage his audience, but also leave them with practical strategies that they can immediately implement into their lives and businesses for immediate results. Want Ken to speak or deliver a keynote at your event, business or school? Don’t see a topic you need for your audience? No worries, Ken can create a custom presentation for your audience. Feel free to get in touch with him by clicking the button below so that he can address your event’s needs and serve you better. Request Ken To Come speak! Thank you! Ken will be in touch shortly. Need some quick support in your business? We get it, business can be tough sometimes! Maybe you lost a client who contributed to a big portion of your revenue and you need to quickly generate more cashflow, or maybe you have a particular goal you want to achieve and are tired of making slow progress towards it. Fill out the form below and someone will be giving you support very soon. Thanks for filling this short form out, someone will be in touch very shortly to get you some support. This site is not a part of the Facebook website or Facebook Inc. Additionally, This site is NOT endorsed by Facebook in any way. FACEBOOK is a trademark of FACEBOOK, Inc. All product names, logos, and brands are property of their respective owners. All company, product and service names used in this website are for identification purposes only. Use of these names, logos, and brands does not imply endorsement.